The most decorated American international footballer has hung up his boots for the US national team. There has long been debate (voiced by yours truly) about what Landon Donovan could be, or could have been as a player. His club football cameos in Europe were largely disappointing (loans at Everton aside). His eagerness to return to Major League Soccer (a third tier domestic league, here in the US) was questioned. He did after all, unlike so many of his countrymen before him, possess the technique and the speed to compete at a high level in Europe. What is not up for debate however, is the fact that no other player has matched the impact on the national team that Donovan has. 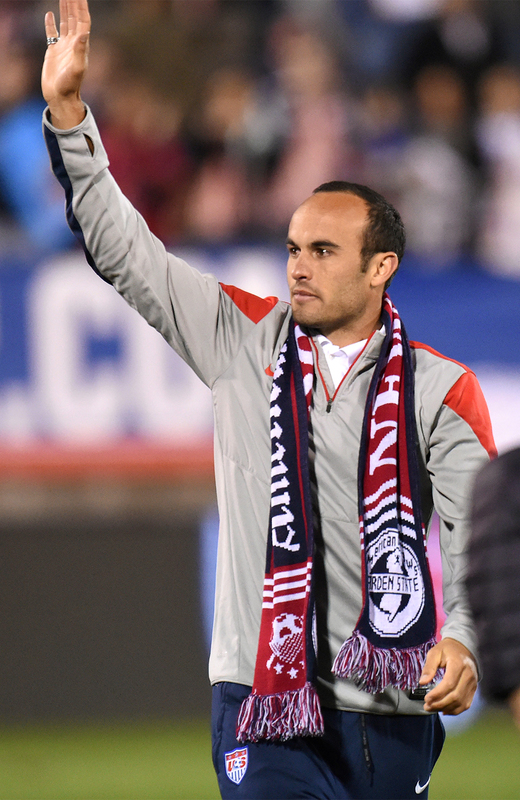 Skill, heart and leadership were up for display when Landon donned the US jersey. And he was clutch. He scored goals on the biggest stages. I remember the bars in which I celebrated his goal against Portugal at Japan/South Korea 2002…his goal against Algeria at South Africa 2010. Not in good form at the time, Donovan was controversially left off the 2014 World Cup roster. Still, he finishes with an incredibly productive 57 goals in 157 international appearances for the starts and stripes. Landon made his final appearance for the US in a friendly against Ecuador Friday night in East Hartford. Following the game, Landon made a lap around the field applauding those who applauded him for so many years. Finally he made his way to the American Outlaws (a supporters club for the US national team) section of Rentschler Field and emotionally greeted them. It was evident that he savored the moment and hated to head to the locker room. Landon Donovan, you will be missed.